The thing customers love the most about purchasing floors from us are the great prices. But it’s not just the prices they love. Not only do we have great prices, but we have great floors as well. With great quality floors for a great price, it’s no surprise customers keep coming back when they renovate their house. We strive to give you the best price on quality floors that will look great in your space! At ReallyCheapFloors, we have a great selection for you to look through and compare! Looking for engineered wood floors? We’ve got them! Trying to find laminate flooring for high traffic areas? We’ve got that too! No matter what type of flooring you’re looking for, you’ll be able to find something at ReallyCheapFloors! On our website, we have a Hardwood 101 section that tells you all you need to know about hardwood floors and how to take care of them. We answer all your questions about solid wood floors, engineered hardwood, engineered blue label, laminate and more! You’ll learn everything you need to know before you decide which product you want to purchase. We are also happy to answer any of your questions in person if you stop by one of our two locations! Our customers always have great things to say after they buy from ReallyCheapFloors because we strive to provide quality floors at a fraction of the cost you’re used to! Some were hesitant to buy hardwood flooring online without seeing it in person, but they were all pleased once it arrived on their doorsteps. If you can’t stop by one of our locations in Murphy, NC to see the flooring in person, we’re happy to send you samples for you to look at before committing to one! Customers have left reviews that said, “The wood was amazing and beautiful,” and “My floor is absolutely beautiful, and I couldn’t be more pleased!” Read more testimonials from our customers and see for yourself how pleased people who buy from ReallyCheapFloors are! 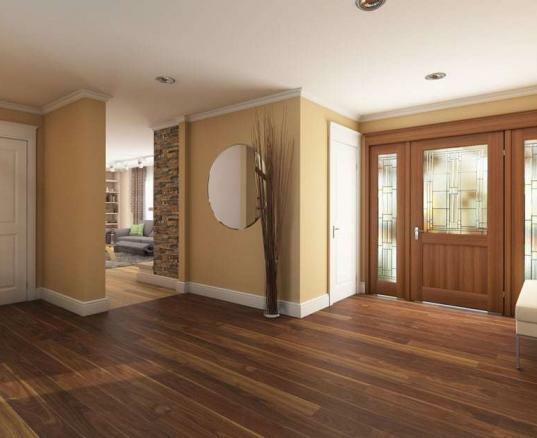 You’re guaranteed beautiful flooring at a great price when you buy from ReallyCheapFloors. Take the first step in finding the perfect flooring for your space from ReallyCheapFloors by visiting our Help Center and figuring out what type of flooring you want. Prefinished Hardwood Flooring Vs Unfinished Hardwood Flooring: Which is Better?